This is the most important thing you’ll read today! It’s like a twist of color on the tweed surface of life. Yeah, I’m talking about The Devils Ride. 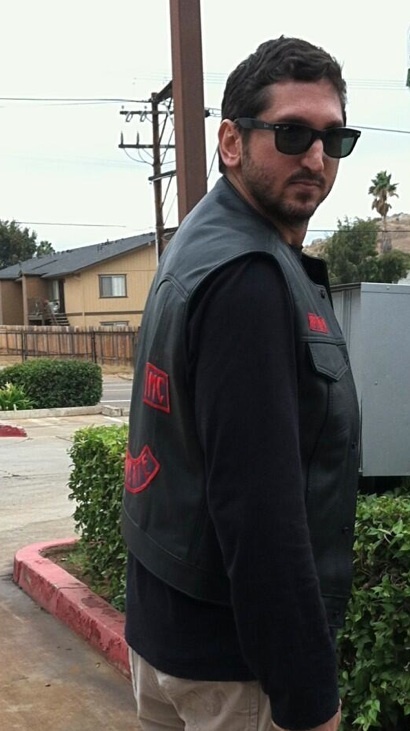 You know… the “reality” TV show about a couple San Diego motorcycle clubs who are sightseers on a mission. Season 3 started last week and here I thought the Biker Club ‘rode through the pearly gates’ and was buried, but somehow the show was resesitated for another season. Sure every time I mention the show I get hits. But, I’m not looking for Google pennies because I don’t run ads! I’ve been consistent. About the show’s producers, the reality TV “actors” and how the show leaves many of us feeling embarrassed. 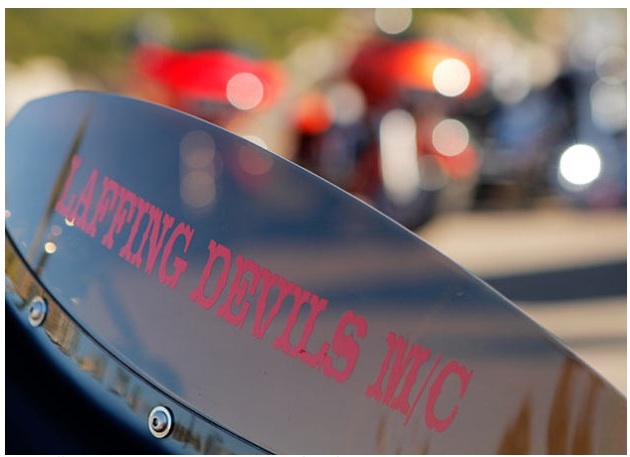 The Devils Ride is a “reality” TV show about “outlaw” motorcycle clubs centered in San Diego. Spoiler Alert: In case you didn’t know, reality TV employs screenwriters whose job is to feed the character dialogue. Viewers get to watch The Laffing Devils and the Sinister Mob Sindicate, two faux enemy clubs battle for the right to dominate the ‘Dago’ turf they call home. It seems these clubs can’t have a conversation unless they literally breathe on each other. While most of the club members have blown their chances at any Father of the Year award, they’ve assured themselves placement in the annals of reality-TV history thanks to their affinity for odd behavior and outrage as a form of communication. I remember when The Discovery Channel started out as an educational media format and was more polished than PBS. These days they have put a lot of time and effort into insuring that its credibility is no greater than that of a tabloid seen at the supermarket checkout. Previous rants on this “reality” show are HERE. Photos courtesy of The Discovery Channel. The “Hustle” photo created by editor. 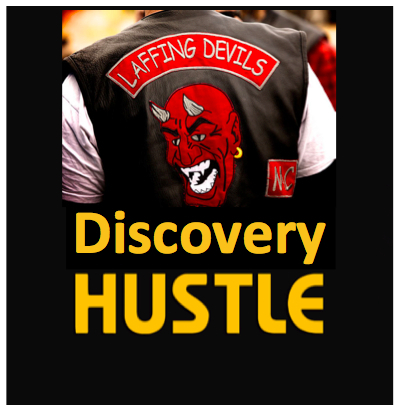 The Devils Ride executive producer, David Pritikin of Discovery Channel has a new diet and exercise regime for motorcycle club reality TV. It’s call apply more pressure to capture increasingly more dramatic footage. Could anyone be happier than Eric Bishoff who offered to present viewers with an “inside look” of a Dago MC, but is really selling us counterfeit merchandise? The last episode of robbing a street corner drug dealer to keep the “heat” off the club house. Really? Spoiler Alert: In case you didn’t know, the show actually employs screenwriters whose job is to feed the character dialogue or create a general storyline arc in hopes that the audience will not tire of the show when the real sequence of events seems too boring. This occurs on each show to preserve the illusion of unscripted reality TV. The Devils Ride is a whole cascade of negligence and one has to wonder if the autopsies are pending? And speaking of autopsies, a recent report by the L.A. Times showed that some reality TV programs cut corners on safety, exposing cast and crew to hazardous working conditions. A combination of tight budgets, lack of trained safety personnel and pressure to capture dramatic footage has caused serious and in some cases fatal incidents. The Real Life Sons of Anarchy. Really?! I’m not implying that The Devils Ride cuts safety corners, but in February an unnamed TV show being filmed for Discovery Channel resulted in a helicopter crash that killed three people. It was one of the worst film set accidents in recent years. It’s not clear what caused the crash and it’s being investigated by the FAA and NTSB. And then last June, Terry Flanell was killed while shooting a pilot for Discovery Channel called “Brothers in Arms” at a Colorado shooting range when two smoke bombs detonated sending a metal pipe toward Flanell. Of course the Discovery Channel is well insulated from the specific filming activity. The shows are produced by a separate company (example: Eyeworks USA) and they use Film L.A. Inc., to obtain film permits/permission and to pass filming code the L.A. County Fire Department assigns an advisor to the site to provide guidance on any issues. But, it’s well known in the industry that many incidents go unreported because crew members sign non-disclosure agreements, and many in the show are non-union workers or are classified as independent contractors. The Devils Ride self-promoters are rampant, but what’s stunning is a TV show that most everyone from “clubbers” to motorcycle enthusiasts vehemently dislike is averaging about 1.2M viewers a week (Nielsen Media Research). The show is capturing about 800K a week for the prime 18-49 adult demographic. Although the show ranking is typically in the bottom 10% of the cable shows and where both Teen Mom II on MTV and Dinners, Drive Ins and Dives on the Food Network outperform there is obviously a number of people who think it’s the best show on Monday night TV. This is my FINAL blog post on the TV show. I’m providing “oxygen” to something that should be pulled off life support. For those begging to see more, below is additional information I’ve researched on the various cast members and producers. Twitter accounts are flooded with “fan boy” comments wanting to get closer to the 15 minutes of shame. 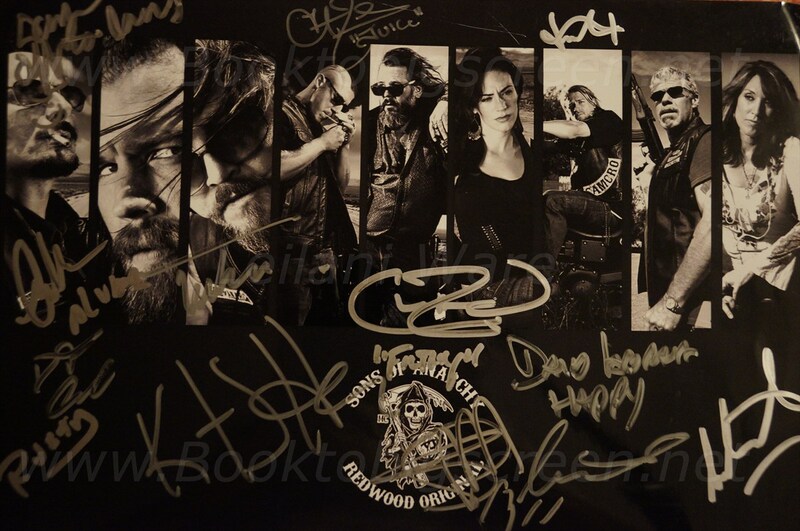 Howard “Rusty” Irvine Coones – Twitter; Guest star on first season also appeared in episode 509 of SOA. Previously President of Orange County HAMC chapter. Attika 7 – Rusty Coones Band; In Oregon prison he picked up the guitar again. Illusion Motorsports – Company run by: Rusty Coones, Rodrigo Requejo, Katherine “KO” Coones. 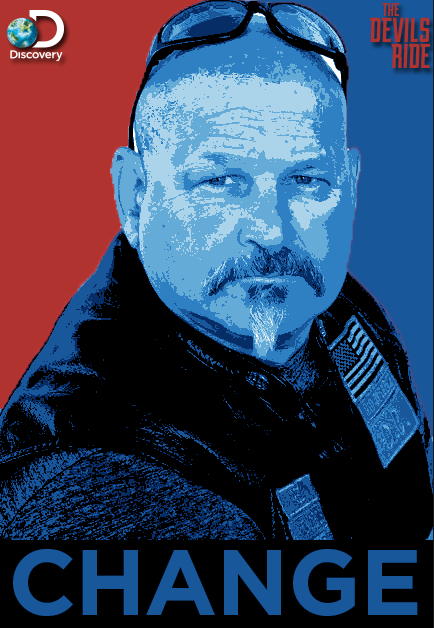 Knockout Motorcycles – Company run by: Ralph “Rockem” Randolph); former HAMC member. Levin, Gary. “Simple Economics: More Reality TV.” Usatoday.com. USA Today. 09 May 2007. Web. 2 Nov. 2009. Booth, William. “Reality Is Only An Illusion, Writers Say.” The Washington Post. Washington Post, 10 Aug. 2004. Web. 2 Nov. 2009. Ventre, Michael. “Just how real are reality TV shows?” Msnbc.msn.com. MSN. 14 April 2009. Web. 2 Nov. 2009.